It isn’t often I write about my home area of the New Forest and It’s just as rare for me to write about the luxurious things I enjoy like afternoon tea and a day at the spa. So I hope you enjoy the slightly different post today, I would love to hear your thoughts about the new topic I’m covering. I mean every once in a while even a backpacker loves a bit of luxury. Our hen do weekend in the New Forest was not your typical dancing and drinking type it was more about relaxing and enjoying one too many afternoon teas. I landed in Southampton late, due to my early morning flight being cancelled so actually missed the only non-relaxing activity of Go Ape. Go Ape is a tree top trail and they have over 20 locations in the UK, it was an activity right up my street so I was gutted to miss out on this because of my flight. I met the girls as their nerves has calmed down and were ready for some afternoon tea in the lovely town of Bournemouth. Our destination was the cutest café ever, tucked off the main club street in Bournemouth. It was a very random location and the sort of place you would only find if you knew where it was. Once you stepped inside however you completely forgot you were surrounded by pubs and clubs instead the décor transported you to the kind of café I loved in Melbourne. It was so well decorated with a mixture of different furniture making up all the tables inside. The walls were covered with cute hangings, pretty light fittings and bookcases with more crockery. It was so pleasing on the eye and although it had a thrown together look, you knew it was well thought out. We were a huge party of 20+ and for this little tearoom we felt a bit big. Our fears were confirmed when it took nearly an hour to actually receive our tea. This was unfortunate as some of the girls had been down to test out the afternoon tea and chat about arrangements with the staff here. Our impatience may have been due to the fact we all skipped lunch for the food so were all starving by the time we arrived. I really enjoyed all of the food, everything was homemade and you could tell. Not every rack served was the same and we all had a rack between two which I thought was great. They kept the tea flowing and even offered those who don’t drink tea another option. 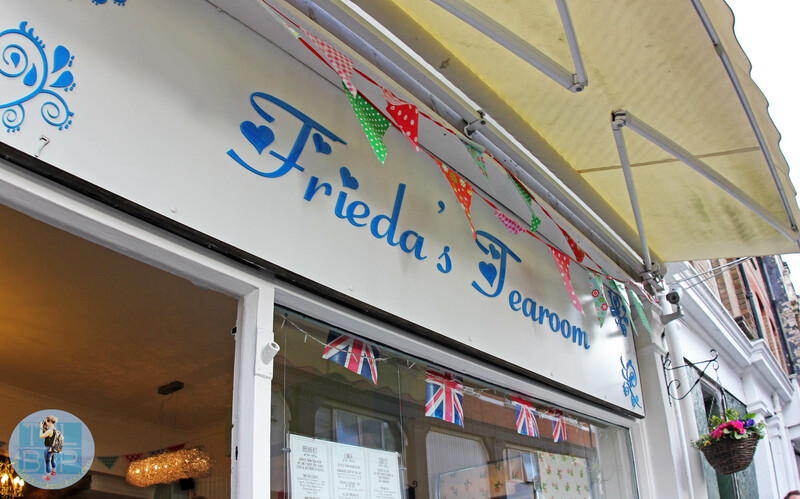 Frieda’s Tea Rooms is a family run business with such friendly staff and a really welcoming feel. I spied on the other food coming out while we were there and it looked delicious. I’d certainly like to return to try something else, or even another tea when they aren’t so busy. The following day was a surprise for the bride to be; we headed off to Sen Spa at Carey’s Manor in Brockenhurst, the heart of the New Forest. As we drove through Lyndhurst, one of my favourite New Forest towns, I was reminded of how quaint and unique these towns are. I mean for me it’s very normal to drive across the forest and see New Forest ponies wandering around but I remember the shock on my boyfriend’s face the first time I brought him to the New Forest. I may not blog about it but I love a good spa day and have visited a fair few over my time from the famous Bath Spa to your average Butlins spa. I feel I have fairly good spa knowledge of what to expect but I was complete ‘wowed’ by Sen Spa. Upon arrival we were treated so professionally, while we filled out forms and were told about all the facilities on offer for the day. One of our party had been before so we passed on the tour, still I was impressed they offered a tour. The facilities they had on offer were endless, they had the normal sauna, steam room, Jacuzzi and swimming pool and then on top of that a huge jet pool, several showers with fun settings, a warm room, hot marble beds, ice bucket, silent room and Thai restaurant that you could turn up to in your robes. The swimming pool was available for guests of the hotel but the rest was for spa use only. We had an afternoon package with champagne, afternoon tea and valid entry from 2-6pm. We ended up staying till 8pm however and they happily allowed this which we were glad about as during the mid-afternoon it was extremely busy. Having time to ourselves at the end of the evening was a real delight. 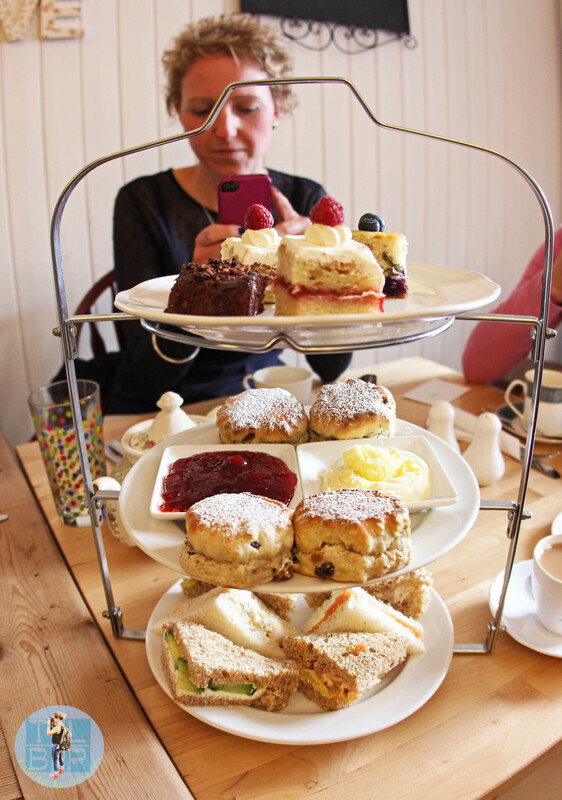 We were given a slot of 4.30pm for afternoon tea and by that point were starving for it! There were no disappointments with this afternoon tea which even came with champagne! The food was served quickly and again we had a rack to share between two. The scones and cakes were amazing, needless to say I didn’t eat many sandwiches. We really took our time with the afternoon tea yet by the time we went back to the spa I still felt like a balloon who couldn’t move! Luckily relaxing on the hot marble beds was the perfect cure. My only complaint about the spa was there weren’t enough water stations around and by 7.30pm the changing rooms were rather messy – in the grand scheme of things these are tiny complaints. This was the first hen weekend I have ever been on and despite being ill the whole weekend and having flight problems I absolutely loved it. 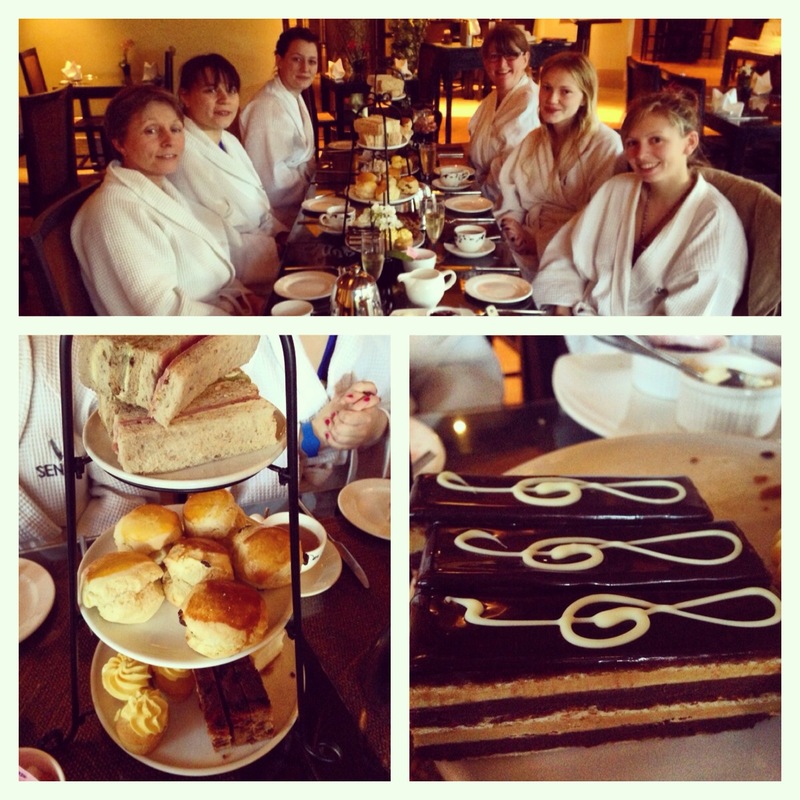 Afternoon tea and a spa session in the New Forest is just the perfect way to relax. Not all weekends like this have to break the bank; however an afternoon at Sen Spa with champagne and afternoon tea will set you back £65. Luckily the Frieda’s Tea Room afternoon tea was the small price of £9.50 each. Never been to the New Forest but would love to go – that spa looks like a real treat!